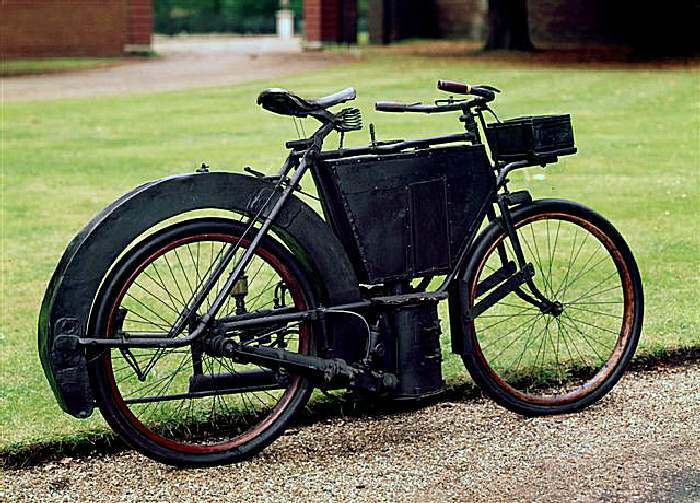 1889 Hildebrand 1.5HP steam bike owned by The Science museum, Swindon. Firing by small sized coke, rear mudguard is a water tank. Presented to the museum by the Southern Railway.